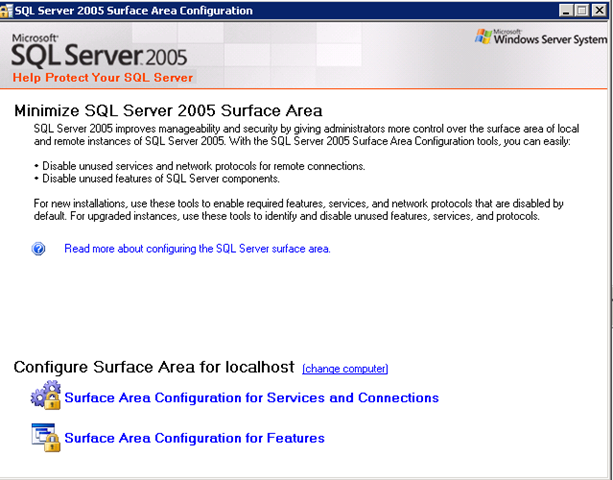 First you need to enable a setting on SQL, so.. Start->Programs->Microsoft SQL Server 2005->Configuration Tools->SQL Server Surface Area Configuration, then click on the “Surface Area Configuration for Features” at the bottom. Under database engine, make sure “Enable OPENROWSET and OPENDATASOURCE support” is checked under Ad Hoc Remote Queries option. And if everything worked, your xls should have 2 rows in it. Now, if you want output to other spreadsheets, you could dynamically set the filename in the statement, or other trickery! Previous Post Where does PowerPivot Fit?